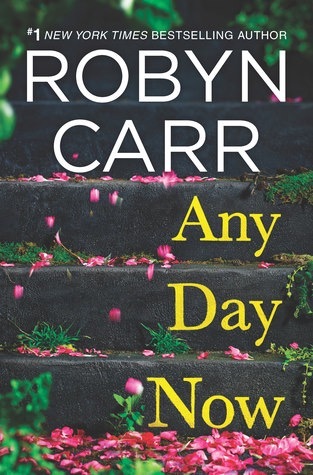 The highly anticipated sequel to #1 New York Times bestselling author Robyn Carr’s What We Find transports readers back to Sullivan’s Crossing. The rustic campground at the crossroads of the Colorado and Continental Divide trails welcomes everyone—whether you’re looking for a relaxing weekend getaway or a whole new lease on life. It’s a wonderful place where good people face their challenges with humor, strength and love. This is the second book in a series about the residents of Sullivan’s Crossing but I haven’t read the first, though it wasn’t an issue at all. Apparently the first book followed Cal as he meets and falls in love with Maggie, and the second follows Cal’s sister, Sierra as she moves to town after completing rehab for an alcohol addiction. She meets a local firefighter and sparks fly, but of course issues arise. This was the standard girl meets boy, both have baggage, they fall in love, something dramatic happens, they persevere, the end. BUT what makes this book standout in a sea of similar romance novels is the fact that the characterization is fantastic and the story is infused with plenty of heart, humor and even a little suspense. The town itself was an utterly charming place, the perfect quaint little setting for a romance novel. Sierra immediately strikes up an unlikely friendship with Sully, who is Maggie’s father and their relationship was beyond cute. All of the residents of Sullivan’s Crossing were endearing in their own way and I can easily imagine hearing more about them in future books. This was a totally lighthearted read, the secondary characters were almost as well drawn as the main ones, the writing had an easy, laid back charm, and the storyline was sweet without being cheesy. Yes it would be perfect for a vacation! I’ve been wondering about this new series. I read the Virgin River series and loved it, but the Thunder Point series lost me. Would you say it was more like Virgin River or Thunder Point? It sounds good by your review. I haven’t read either series I’m sorry! Loving the sound of this will definitely look out for it!